What better time to see what happens when one stops eating sugar for 1 month than in the midst of winter. Not really, but when inspiration is here it's here. I'm still in Germany and haven't returned to Australia yet so the seasons are upside down. Here January is a really magical white icy month of early sunsets, mysterious fog, hot dancing, flying down snow covered hills on plastic comets. I think when we feel better we can do better things in the world, so I've managed to inspire a few others to join me on this trial of quitting sugar. I am super excited to say that after only 2 weeks we are finding that some good feeling results are taking place. On top of it we are by no means perfect and have all come off the track numerous times but just keep continuing. Do you want to give it a go and give up all sweeteners for only 1 month of your life? See what happens? Please write me and let me know how it's going. I have also added to leave out coffee, alcohol and gluten, might as well right? Results are: feeling lighter, more awake, loosing 1-2 kilos feeling more beautiful around the hips (one participants words which I have to agree with), craving real foods and more! I have naturally had cravings that have torn me into the kitchen to whip up some stevia sweetened goodies. You might find them useful for yourself too. Of course I also eat a whole lot of REAL food don't you worry. If you haven't yet read SWEET POISON- why sugar makes us fat, by David Gillespie, do. 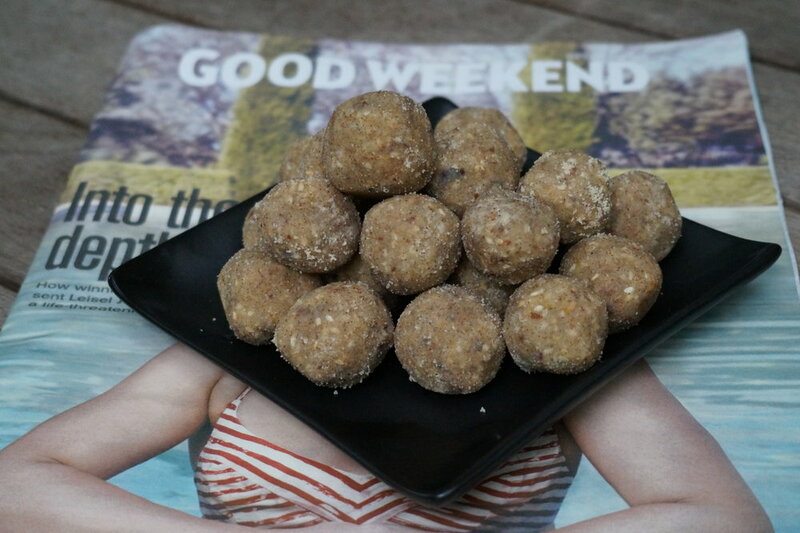 Here is a recipe for my desperate stevia Carob Hearts, as well as a recipe of last years White Sesame Lemon Cardamon Coconut Bliss Balls. Recipe from Instagram: I love you sweet sugar. In maple syrup, rice malt and honey. You make my turmeric lattes and chocolates sing, dance, melt in my mouth. Oh well, here goes my day 13 on the #nosugarchallenge: carob choc with #stevia. Mix 1/4 cup #cacaobutter 1/4 cup #coconutoil 1/4 cup #carob pinch salt lots of vanilla and 15 drops stevia. Pour onto #frozenberries play snow flakes with #coconut, chill, eat more than half the whole batch... due to the natural sweetness of the carob these are actually quite nice creamy and yummy. There came a time in life when I had finally made (and ate) so many cakes, chocolates and muffins that my eternal sweet tooth was slowly being satiated and my body started to crave more healthier, less sweet, sweet treats. Welcome to bliss balls. When I create new recipes I usually start by adding what I’d like the ingredients list to say and then work my way through what needs to be added for a real good this-is-so-awesome and healthy result. This bliss ball was born in the Blue Mountains on a day off when I woke up way too early and started dancing in the kitchen. If you are going to make the effort to buy all these ingredients and make this treat I thought you might as well make as many as 40, but by all means feel free to half the recipe. Enjoy treating yourself, loving yourself and sharing yourself through these balls. Mix all your dry ingredients in a food processor, if you don’t have a large food processor you can use a small grinder and do it in batches. Then either add all the wet ingredients to the dry mix, or if your machine is too small blend all the wet ones separately and then add it to the dry mix. Mix well. Make sure the sultanas are mushed. Fill a bowl with water to dip your hands in and roll your desired size bliss balls, regularly wetting your hands in the water to avoid the mixture sticking to your hands. If desired coat in coconut, or not. Enjoy. Don’t use a blender for these, use a food processor, trust me. You can lightly roast the sesame seeds and almonds if you like for a different kind of toasty flavour. For optimum flavour and health effect I would highly recommend using organic seeds and rolling a large amount of self love into these. Take a deep breath and move those hips of yours because you can!